Here's the thing. You are either going to love Hereditary or hate it. There really is no middle ground with this film. It doesn't take much sleuthing around the Internet to see that the film has been a hit with critics, but its praise has been more subdued with general audiences. 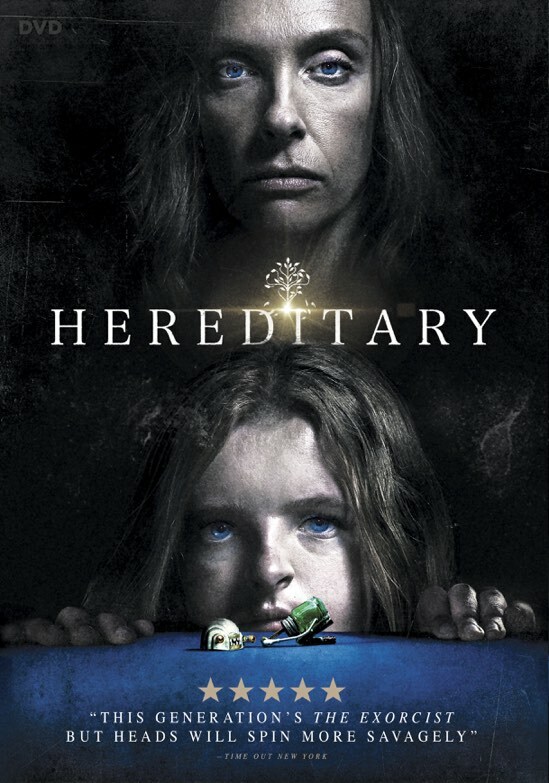 While I tend to find myself agreeing more with the average Joe than the film snob, I really enjoyed Hereditary. It is the latest example of a budding sub-genre of horror that is really hard to put a label on. It's one of those things that you know it when you see it, but it's really hard to explain to someone. I'm thinking of films like Get Out, The Witch and Green Room as movies that would be a part of this nouveau niche of horror. It's also no small coincidence that three of these films (with Hereditary) are distributed by A24. When the matriarch of the Graham family passes away, her daughter is left to hold the family together. As they begin to discover terrifying secrets about their ancestry, the family bonds begin to break down as they face down the sinister fate that has doomed them all. If you haven't watched the trailer above, please do so. This is one of my favorite trailers of the year. It not only provides a downright guttural tone that is consistent with the film itself, it also employs a bit of misdirection that plays into one of several twists in the movie. The film was directed by another first-time director (that makes three for three today) and it is evident that despite his lack of experience, he is a competent storyteller. I understand why some people take umbrage with Hereditary. It's the same underlying reason that people lashed out at mother! (ooh, another fine example to be included in this new horror genre - I liked them both). While people claim that they want to be shocked and surprised, there's a part of them that enjoys the expected. When there's a jarring swerve in the narrative, the brain's disconnect immediately veers for distaste, but if you let it sit a bit, I think you will come to appreciate the journey and set up. The yeoman's work in Hereditary is turned in by Toni Collette. It goes without saying that without her, the movie would not have half of what it ends up being. She delivers a powerful performance that rivals her turn in The Sixth Sense for her best work in this genre. She is really that good in it. That's not a dig on her costars either. Newcomer Milly Shapiro is utterly captivating as Toni Collette's daughter Charlie. Milly comes from the same stage background as Stranger Things star Gaten Matarazzo and you can tell that these two young actors are drawing upon their stage experience to deliver stunning film debuts. In much the same way that The Exorcist hinges on a young Linda Blair's performance, so too is Milly's performance integral to the success of Hereditary. I was fortunate to review the 4K UHD version of the film and the improved Dolby Vision video was noticeable as the film has several scenes that transition from dark to light. The HDR even provided a nice uptick despite the intentional rather dull color palette of the film. 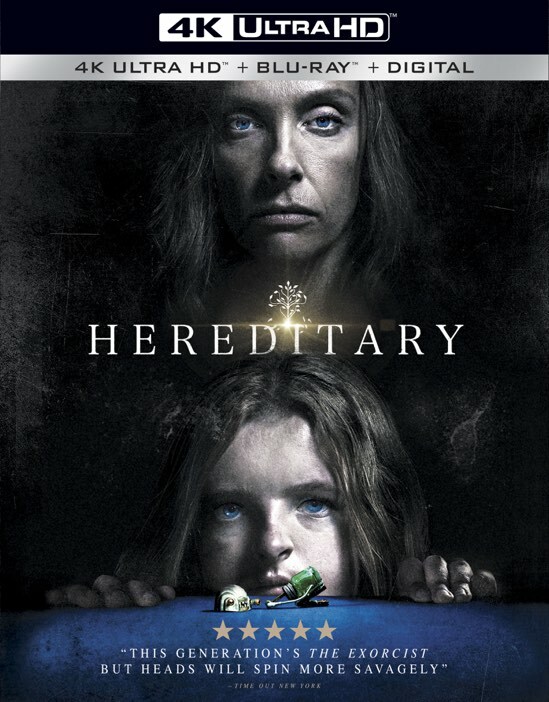 Both the 4K UHD and Blu-ray have the same 5.1 DTS-HD audio mix but I'm not sure that Hereditary would have been that much better with a Dolby Atmos audio track. As in most horror films, the score features heavily in the movie, but the existing audio track is sufficient enough to convey the director's intent from scene to scene. There are a plethora of bonus features on the set including a whopping nine deleted scenes. With so much material excised from the film, you almost wonder if there will be an extended director's cut at some point. While a couple of the scenes are alternate cuts or scenes, there are several new things that point to a whole different direction that the film may have taken. There is also a nice featurette and photo gallery that focuses on the miniatures that are used prominently in the film. At the end of the day, I really can't say how much you will enjoy Hereditary. But, I'm willing to bet that if you like the other movies that I mentioned above, then you will appreciate Hereditary as well. It is a creepy film that does not rely on tradition jump scares to move its audience. No, it is a movie that aims to get into your head and mess around a bit to see if it can have any lasting effect. The answer is yes. 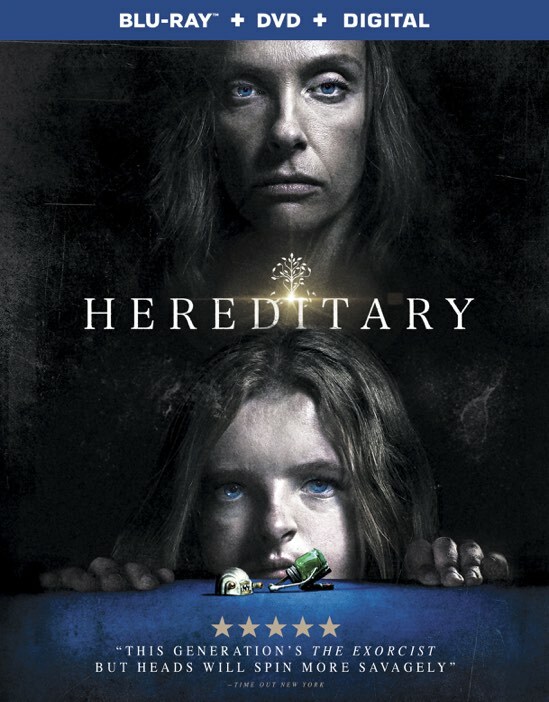 I'm still thinking about Hereditary and that truly is the best recommendation that I can give for it.